Just a couple weeks after its release in the Google Play Store, Nfit app is now also available for iOS. From now on, Apple devices equipped with Bluetooth 4.0 can use the activity tracker by NODIS to keep an eye on their physical activity. Steps taken, calories burned and distance traveled: everything you need is in your hand. 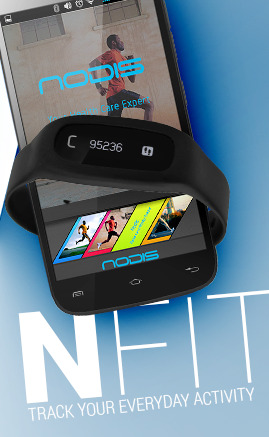 Simply synchronize your smartphone to nFit to get easily access to your own personal trainer.